I love finding ways to make my images look less like photographs and more like paintings. 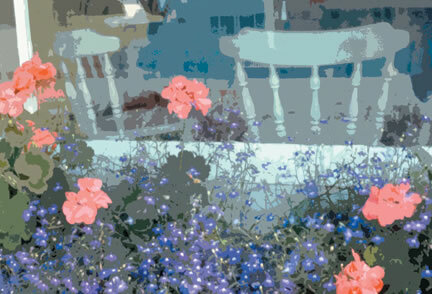 What I enjoy about 'Flower Box' is the play of layers - the delicate, bright flowers in the window box; a glimpse of what is behind, reflected on the cafe window, and just a hint of what one might find inside. Perhaps spicy tea and hot muffins! Check her website for available prints.